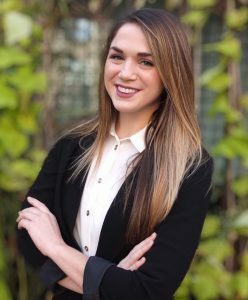 We welcome to the practice Kaylyn Plum, a NCCPA nationally board certified and New York state-licensed Physician Assistant. As our Physician Assistant, Kaylyn specializes in non-surgical medial aesthetics. She performs all non-invasive procedures including Ultherapy, Fractora, Intense Pulse Light (IPL), Pelleve, CoolSculpt, MicroPen with PRP, and more. Kaylyn practices superficial skin resurfacing and facial rejuvenation through Microdermabrasion, chemical peels, and medical grade skin care products. Her focus is on skin health and appearance as well as providing appropriate skin care regimens and suggestions that cater to each individual’s specific needs. Additionally, Kaylyn’s extensive experience with wound healing makes her Gotham Plastic Surgery’s very own post-operative skin healing specialist. While attending school at the University of Florida, Kaylyn worked in the Burn Intensive Care Unit at UF health (formally known as Shands) where she was involved in all aspects of wound healing, evaluation, and rehabilitation. Kaylyn began her passion for aesthetics after working along side burn victims for two years, and she truly knows the role of how outer appearance coincides with inner self-confidence. She is with our patient every step of the way during the recovery process and is delighted to have the opportunity to participate in post-operative care. Kaylyn achieved the degree of a Masters in Medical Science from Nova Southeastern University in Florida where she graduated with honors. Prior to her advanced degree, Kaylyn attended the University of Florida achieving a Bachelor degree in Health Sciences with a minor in Disabilities in Society. Kaylyn is a perfectionist and believes that everyone deserves his or her desired aesthetic result. While finishing her training at Gotham Plastic Surgery, she had the pleasure of working alongside Dr. Douglas S. Steinbrech. Kaylyn values the time with her patients and her aesthetic eye mirrors the brilliant Physicians she works with.